Since arriving in Québec, Géraldine Martin has risen through the ranks guided by one important principle: her commitment to change and inclusiveness. Jobless on arrival, in 2000, her professional career took off, and it was all due to her perseverance, talent, and spot-on intuition. In 2013, she became the first female managing editor of the magazine Les Affaires, the largest financial publication in Québec, founded in 1929. While there, she launched the magazine’s first iPad version in 2014, renewing the content on all of its platforms. She led innovative projects to attract, retain, inform, and move the business community. Géraldine Martin ran several large events with great success, including the Grande Soirée de la Gouvernance, which brought together, for the first time ever, many pillars of the governance industry in a gala to pay tribute to the remarkable contributions of Québec’s boards of directors. On arrival at the Ville de Montréal, she was involved in consolidating the brand image of the PME MTL network, making it the preferred gateway to support and finance businesses in the Montreal area. Whether in the field of communications or public administration, her challenge has always been the same: inspire and support businesses to make them grow! Another of Géraldine’s achievements for the Ville de Montréal is a women’s entrepreneurship event at City Hall that brings together all the sector organizations, a first for the city. She was behind an agreement between PME MTL and Femmessor, which provides financing to women-led businesses. The aim of this agreement was to offer women entrepreneurs who called PME MTL quick access to the services of Femmessor. For the past two years, Géraldine Martin has volunteered with Entretiens Jacques Cartier, an association that promotes economic exchanges between Montréal and Lyon. In 2016, this association took the form of presentations on women’s entrepreneurship in Lyon and Grenoble. 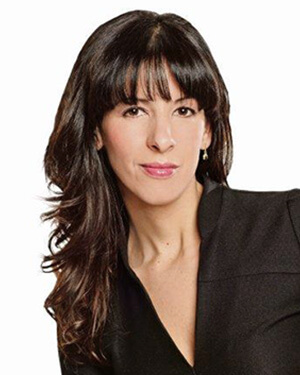 She has also participated in various events concerning women and is a member of many networks, including the Réseau des femmes d’affaires du Québec, Femmessor, and the Association des femmes en finance du Québec. Géraldine’s motto: communication breeds confidence, which breeds collaboration, which breeds creativity. Could anyone say it better?